Hello girls, today I am again showing you another simple method to remove all unwanted hair from your face and body. This is very simple recipe and you can easily make it with just 2 ingredients from your kitchen. 1. Take a bowl and add 6 tsp of wheat flour in it and add little amount of water to make tight dough. 2. Now make it a small ball, and apply a layer of mustard oil on this ball. 3. Rub this ball on your unwanted hair areas for 5 to 10 minutes. 4. 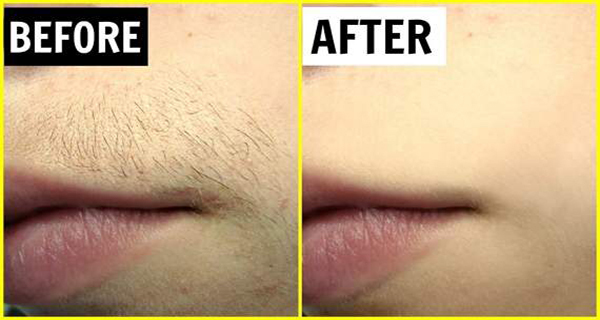 Follow this process daily, slowly your unwanted hair will be disappeared permanently.